The use of social media within digital marketing and inbound marketing has become an important gear in the sales and demand generation engine. The sales and marketing engine needs fuel (supply of traffic or prospects) which the engine turns into visitors and leads where sales converts to customers. The use of social media and lead generation are the gears which powers the engine. The bigger the social media gear size the harder the marketing gear works. And the harder the marketing gear works, the faster and more productive the sales machine will work to generate revenue. Social media (blog, content marketing, and articles) is the gear that gets the marketing and sales engine working. Social media pulls in the traffic and prospects and converts them to visitors or leads. When driving a car, we push the pedal to the metal in the highest gear to get to a destination faster. The same logic applies to inbound marketing and lead generation. A business needs to work the biggest gear, social media, to ensure a constant supply of visitors, leads and buyers to power the business growth. Social media also impacts SEO and long tail keywords. So if social media is the gear, then content marketing and blogging platforms like WordPress, Medium, Svbtle, Postach, Ghost, LinkedIn Pulse, Storify, Tumblr, Blogger, Buzzfeed etc. and the traffic they can generate is the fuel that turns the social media gear. To put the potential impact of social media into perspective, here is some insightful statistics’ on buyer decisions. Big business or small business, it is vital to have social media in the marketing plan for lead generation and inbound marketing strategy. Every marketing team has to see social media and inbound marketing tactics as a critical gear in the buyer’s journey. Social Media Marketing Is Critical for Inbound Lead Generation Success, so is Sales. The days when demand generation meant only using paid search or media placement and email marketing are over. Today’s buyers are on a different journey where business buyers and consumers are using keyword search and social channels to find content upon which to make informed choices. In fact, they are now in control of the buying process where they are start the demand generation process without any seller being involved. Social media does not replace selling, good sales or selling practises, as research shows that talking to a sales person still has a strong influence on buyers vendor selection. Social media and inbound lead generation is just a gear (a vital gear) in the lead-to-revenue path that enables marketing to funnel leads to the sales machine, which turn them into customers. Another reason that social media is a gear which needs to be connected to the sales engine is that while social media and inbound marketing can deliver more leads at a lower cost than outbound marketing or sales, inbound leads take 30 to 40% longer to move through the sales funnel. Like any engine, the sales and marketing engine needs more than one gear to power it, gears like social media selling, SEO gear, paid search (SEM) and email marketing gear all play a key role in lead generation and lead nurturing. Successful inbound marketing is about getting the mix right between short term tactics, longer term tactics and tactics that deliver demand now. The Actions and Actives in getting the Social Media gear moving. Publish and Attract. This is about pulling in the fuel (traffic, prospects, suspects) into the engine. The greater the reach via multiple blogging platforms for content marketing, research papers, articles, the bigger the awareness a business can generate by posting the content via Facebook, Twitter, LinkedIn, StumbleUpon, Pinterest, SlideShare, Google+, Reddit and other content marketing sources. But attracting traffic and visitors is only VANITY, leads and customer engagement is SANITY. Lead Nurturing. The lead and customer nurturing process fits between the attracting and closing stages. Returning visitors will seek out fresh content or product information, people who signed up for newsletters or email updates need to be influenced. 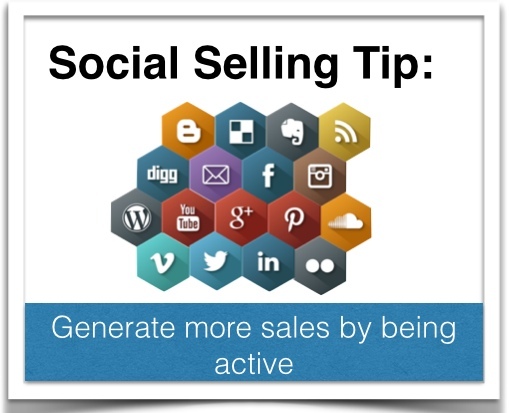 The sales team should now be engaged with social selling to the prospects. This stage is where prospective buyers are sourcing, digesting and reviewing information and content. A recent report by Act-On showed that 85% of Business-to-Business buyers said it takes three or more pieces of relevant content to help make a decision on progressing with a supplier. So, a business can lead nurture by influencing the buyer to take action by feeding them with relevant content on their terms or personalised preference. Close. 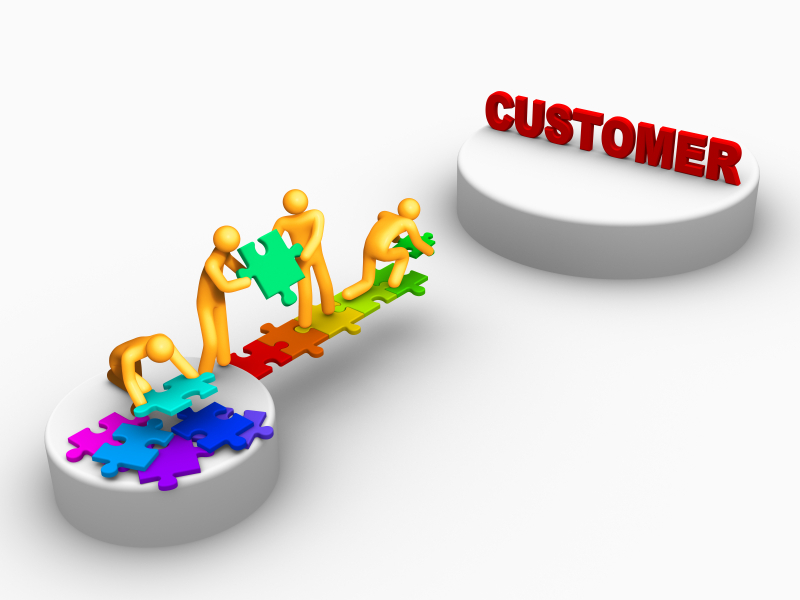 This stage is where leads are moved through the pipeline to become customers. Returning visitors will reveal themselves to enter into the sales funnel and existing lead nurturing prospects move down or out of the sales funnel. The key measure here is conversion, what is the lead-to-revenue conversion rate? What is the cost of customer acquisition? Closing is both a sales process and a workflow process so marketing and sales management need to work together to audit the attract, convert, lead nurturing and closing stages to ascertain what is working and what is not. A growing use of social media within companies by marketing and sales teams is in the area of social selling. In the sales process connecting with prospects and establishing relationships can be the difference to winning or losing deals, more and more companies are using social media selling to help them accomplish these connections quickly and easily. Selling and sales methods are evolving; the vast majority of buyers (business or consumers) are socially engaged and informed. The sales team must be too. They need to have the tactics, tools and training to leverage social media for sales success. The innovation of the Internet, cloud based business models, smaller transaction values and the adoption of sales technology tools means the sales profession is in a state of modernisation. The Inform versus The Interruption based sales model. Why bother with social selling? Well still too many sales models are “interruption” based, meaning the sales person or marketing function targets a list of prospects then emails them, phones them, advertises on-line to them, chases them, which is still based on the hard sales concept (even if the actual sales discovery/meetings are collaborate the approach to getting the prospect to engage is interruption based). Social selling with social media is when the sales team or marketing use social media to engage directly with selected prospects across a range of social networks. The sales team strives to provide value in the sales process by answering prospect questions, posting relevant content and offering insightful information on the company or product until the prospect is ready to engage in the buying process. So social media is informed based, to intelligently inform a target audience thus allowing the sales teams to enlighten their prospects rather than interrupt them with cold calling or hard sells for meetings. The goal of social media selling is getting buyers into the sales funnel further down, it is about informing and educating prospects then converting them into buyers. The shift in the way people are buying means sales trainers and sales teams have to shift the way they are selling. The Internet has changed the sales game, time was the only way a potential customer could find out about a product fit was to engage the company or more likely the company interrupted them. Not so any more, now Google, LinkedIn and on-line business forums will allow any buyer to identify the competition, do research on companies and narrow down the potential supplier list which will inform them on their purchase options. Options the supplier company can inform on via social media or let the competition do it. Studies in the sales process have proven time and time again that many buying decisions or lists of preferred vendors are made before a salesperson is even in the conversation, with many companies merely used as a stalking horse. Sales success in Social Selling. Before, the sale team signs up for twitter accounts or join hundreds of LinkedIn groups, to be successful in social selling they need to make the following happen. Sales people must give first, offer content, help and engage their network to become trusted. Sales people must change their behaviour and interact as buyers expect today. Sales people need to inform and connect social ties, mainly weak ties. To assist sales teams with this sales transformation we will start with “social ties”. Almost everyone’s “social networks” is made up of a range of social ties that consist of friends, family, fellow workers, and other acquaintances. Typically this includes a group of very close social ties (family, friends) and a considerably larger number of weak ties (loose acquaintances) that get weaker as a persons social network grows. Across social networks today, the average user has over 800 social ties. Why is this important to a sales person? Well it has all to do with the concept that weak ties are better than strong ones in social selling. In social selling building a social network with weak ties offers the best sales opportunities in the longer run, due to different people and interests. Why Weak Ties Are Better Than Strong Ones. Well Doctor Mark Granovetter (author of “The Strength of Weak Ties) defined a social tie (and its strength) as, “a combination of the amount of time, the emotional intensity, the intimacy (mutual confiding), and the reciprocal services which characterize the social tie.” And if a sales person only spends time with stronger ties, then they only inform similar people, with similar skills, and similar interests. Sales people and marketing need to understand that every social network is really a collection of smaller social groups. The key is to inform the people who are weaker ties within this structure so they can act as a “bridge or broker”, by connecting the sales person to other groups of people as it is weak ties that allow a bridge to occur between two different social groups. A strong tie will usually only connect to similar profiles or interests. When a sales person spends time informing and engaging weak ties they start connecting with different people, with different profiles, different connections and different interests. And as a result of this, they create a network effect, opening them up to finding newer and different opportunities for development. So the More Weak Ties, the More Opportunity. Thanks to social media and social networks like LinkedIn, the average person has more weak ties than ever before. However the next challenge for the sales person is that is it not as easy to leverage weak ties. They can’t just phone them up and ask for a coffee or meet for lunch to ask them for an introduction to a company or buyer. Sales people need to have a gradual approach, maybe some gentle nudging with insightful content on an industry, and over time grow the connection into a real business relationship. This “inform” concept is at the core of social selling, because sales people need to build trusted relationships from the thousands of weak ties they are connected to today in order to influence the social ties they want to be connected to sometime down the line. Sales people must change their behaviour to Social Selling with a Small Habit. For social selling to really work, sales people will need to change their behaviour. As anyone in sales understands, nothing is more important than hitting sales targets for this sales period and the next one will be just as important. But if a business or sales person wants to continue to succeed, they need to start building a social ties network of future opportunities now. A simple method to do this is for sales people to form the small habit of sharing relevant content to their social network. Train sales people that in quiet times, maybe as they wait to board a flight, having a coffee or after they check email, share some content prepared by marketing (not sales brochures or self-promotions) or maybe an article they read on LinkedIn, or twitter. Don’t bombard social ties with badly written or irrelevant content. As the sales person builds weak ties connections, they could send it directly to them as long as they know they will find it interesting. Start small, maybe once per week, and they encourage them to gradually increase that to 2, 3 times per day. Be thoughtful, be informative but build this habit. Social selling using the Inform sales model is not a might do, the world and sales channels are shifting, selling power is in the hands of the buyer and buying power is in the hands of the seller, so sales people need to use social selling to attract buyers the same way as buyers are using social media to identify sellers.